Outdoor fireplaces turn any backyard into a great place for entertaining. You dream of a day where you and your friends and family sit outside on warm summer evenings, basking in the warm glow of the fire you’re gathered around. Instead of keeping this a dream summer after summer, let our team at Greenville Pavers create the fireplace you’ve always wanted right in your own backyard! 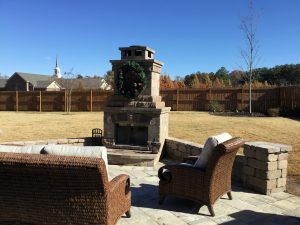 We build outdoor fireplaces for our clients in Greenville, South Carolina all the time, and we want to help you turn your backyard into the perfect spot for relaxation and entertaining. Our outdoor fireplaces are constructed using the same quality methods we rely on when adding pavers to patios, walkways, and driveways. 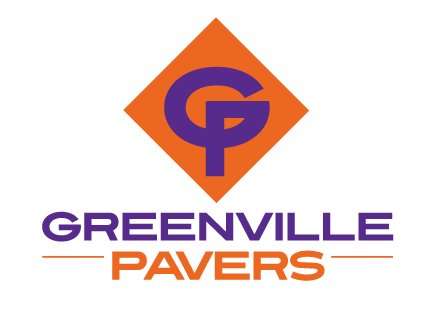 Our contractor and team of professional pavers know exactly how to place the pavers, so they stand up to the weather and withstand any natural wear and tear that could happen over time. The result is an outdoor fireplace you and your family will enjoy for years to come! We also construct outdoor fireplaces of all sizes and shapes, so whether you want a large fireplace as a focal point in your backyard or a smaller one as part of your outdoor kitchen setup, we can help you design and create the fire feature that ensures your satisfaction. During the consultation phase, feel free to bring us drawings and photographs that illustrate what you want your new fireplace to look like. We can’t wait to outfit your backyard with a stunning outdoor fireplace! 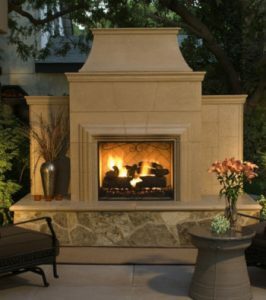 Contact us at Greenville Pavers today to find out more about our outdoor fireplaces and our construction process.